Reissues of the very rare British 10inch LP Mercury MPT 7521! 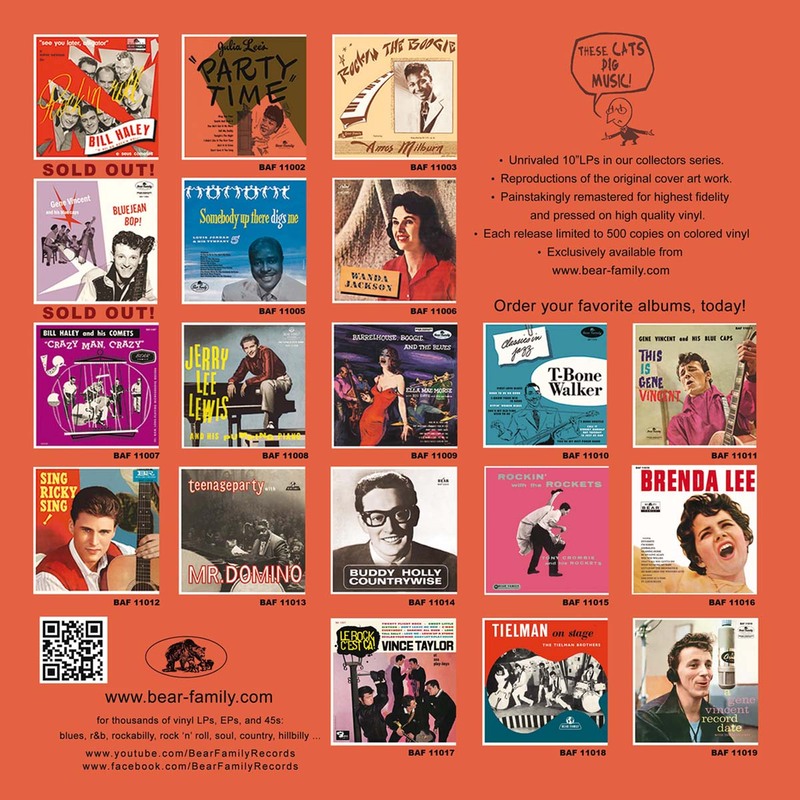 Painstakingly remastered for highest fidelity and pressed on high quality vinyl! 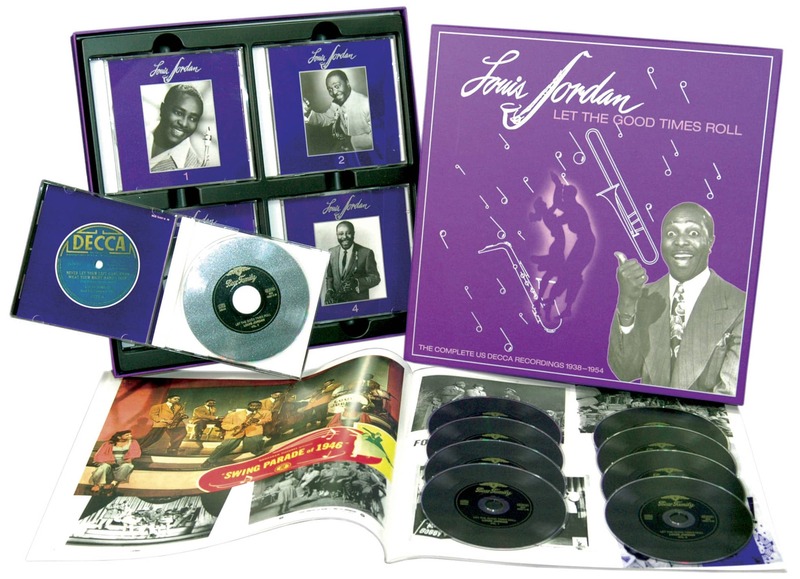 After his sucessful stint at Decca records since 1938 as "King of the Jukebox" and a strong string of hits, Jordan's star began to sink with the beginning of the 1950s. 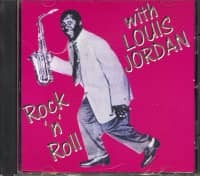 Producer Milt Gable, who was also the man for Louis Armstrong's and Billie Holiday's careers, didn't prolong the partnership with Jordan, because a new thing was coming: Mister Haley and Rock and Roll. Louis recorded the next years for Aladdin, Vik and X, but without smashes for him. In 1956 he signed with Mercury Records in Chicago. The plan was a mashup of his old hits but with the new sound, hard-driving, fast and furious. The right man was responsible for the production, the still young Quincy Jones. He got together a team of very skillful Jazz and Blues musicians (Mickey Baker, Jimmy Cleveland, Sam 'The Man' Taylor, Ernie Royal, Charlie Persip ...), and the recordings became classics in their own right, as they were completely different from the 1940s originals. Mercury (US) released a longplayer ... and failed. In Great Britain, oddly enough, PYE issued the same LP in full length as a 10inch LP, for whatever reason. Hard-to-find today, this British issue from 1957 gives a great look on the "Grandfather of Rock and Roll" in a new bloom. A "must have". 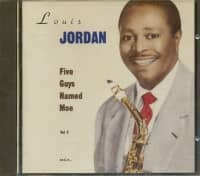 No artist was more seminal to the development of R&B and ultimately rock and roll than jumpin', jivin' alto saxist Louis Jordan and his relentlessly swinging Tympany Five. 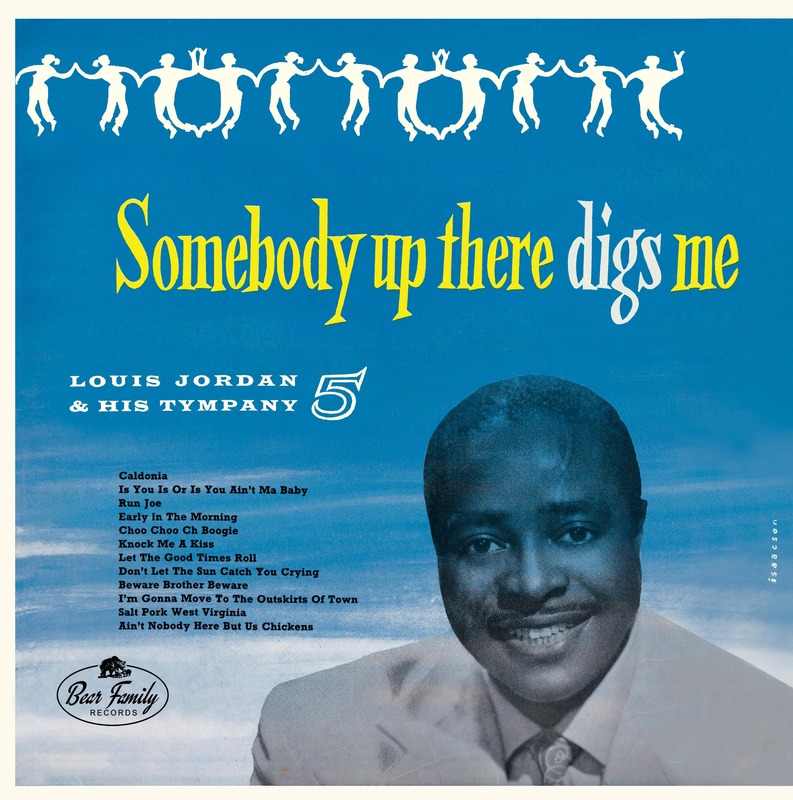 The most popular R&B act of their era with an unbroken string of hits for Decca spanning 1942-1951, Jordan and his compact crew managed to cross over to the pop hit parade in unprecedented fashion. A naturally gifted comic, he starred in several low budget musical films for black audiences and proved a major influence on Bill Haley & His Comets, who were produced by Jordan's former Decca A&R man, Milt Gabler. 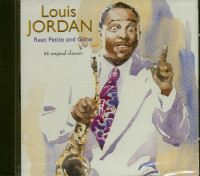 Born in Brinkley, Arkansas, on July 8, 1908, Louis came by his musical talents naturally: his father was a bandleader. 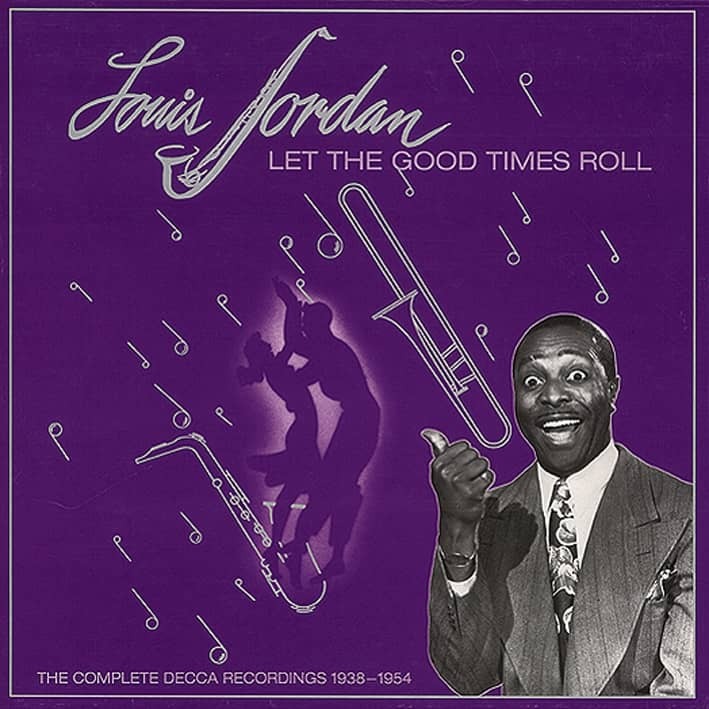 The younger Jordan was skilled enough on his horn to find work in New York during the early '30s, recording behind Louis Armstrong and Clarence Williams before joining drummer Chick Webb's orchestra in 1936 (he was showcased on Webb's Rusty Hinge). Louis left Chick's employ in 1938, ready to lead the first incarnation of his Tympany Five (he was playing clarinet as well as alto sax in those days). The hits began to come in late '42 with I'm Gonna Leave You On The Outskirts Of Town and didn't let up for a full decade. Jordan rallied the troops with his Ration Blues and G.I. Jive and kept jitterbugs hopping back home with Caldonia and Choo Choo Ch'Boogie. Like nine of his Decca 78s before it, Ain't That Just Like A Woman paced the race music charts. 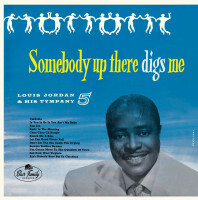 Written by Claude De Metruis (alleged co-author Fleecie Moore was Jordan's wife; he'd soon divorce her after she attacked him with a knife, losing a lot of compositional royalties he'd assigned to her in the process) and cut January 23, 1946 in New York, the humorous romp saw Louis' band expand to six with the addition of guitarist Carl Hogan. Pianist Wild Bill Davis keeps the track driving, but it's Hogan's fluid boogie underpinning that gets the witty number rocking. 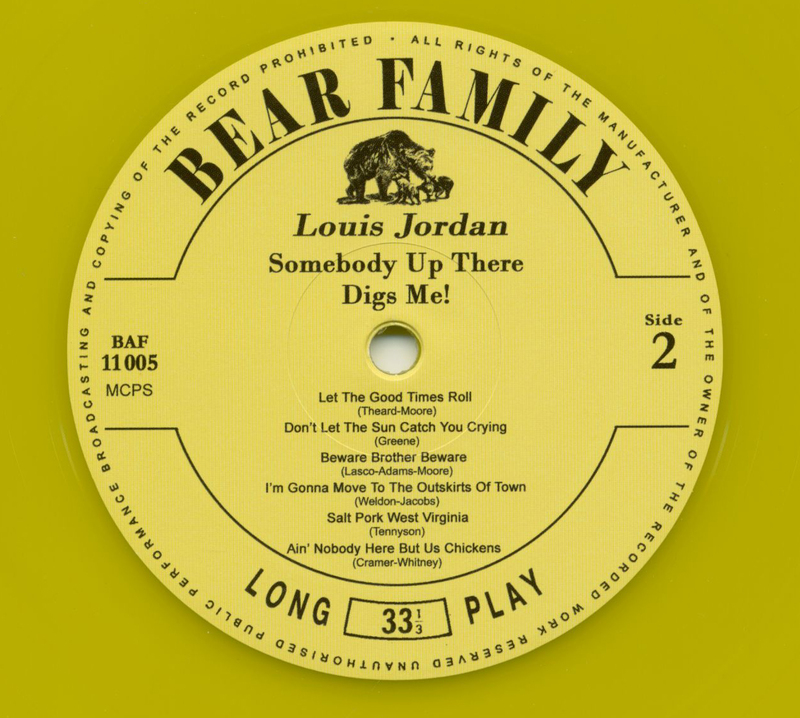 Chuck Berry has long cited Hogan as a main influence and cut his own version of the song nearly two decades later; Fats Domino and Lloyd Price made convincing renditions as well. Sadly, like many of his peers, Jordan got left behind during the rock and roll revolution he helped spark. He was still performing until shortly before his February 4, 1975 death. 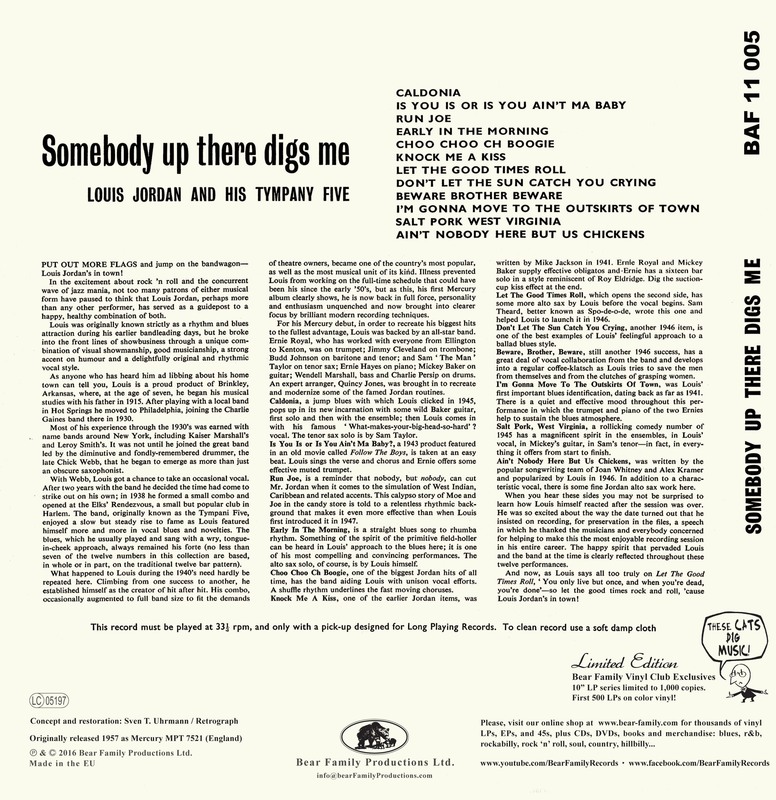 Customer evaluation for "Somebody Up There Digs Me (LP, 10inch, Ltd.)"
Grandioser Sound!!! Genau so muss Vinyl klingen!! Vom Meister des sanften R&B-Sax zum modernen Blues- und Soulsänger! Was für ein Schritt. und vior allem: erstmals mit groovender Bluescombo und Mickey Baker an der Gitarre. Hübsche kleine bunte 25cm-Scheibe. Excellent product, great issue from an outstanding label. 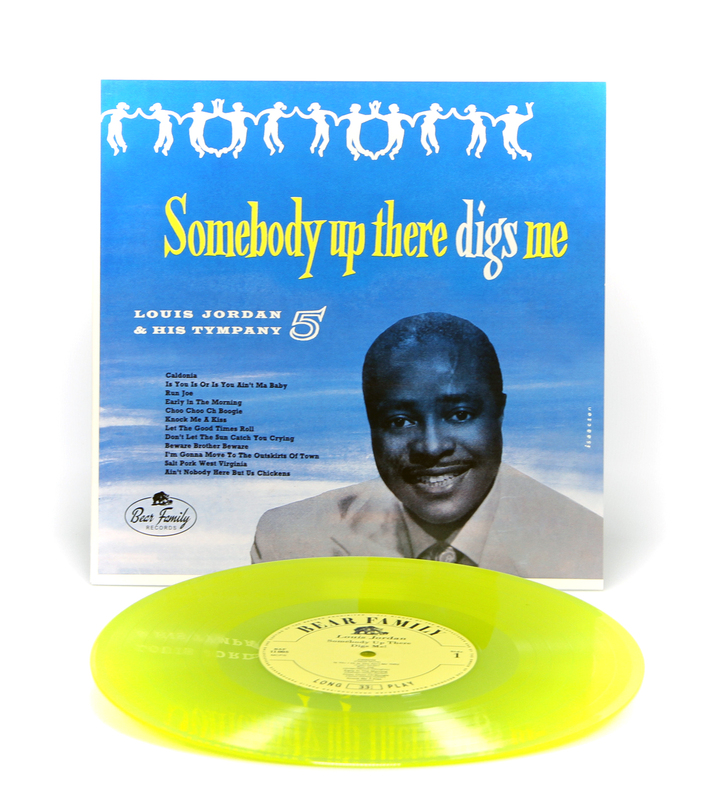 Excellent LP in nice yellow vinyl. Well engineered, per Bear Family's known quality expectations. I wonder how I order the black vinyl however so I can have both. 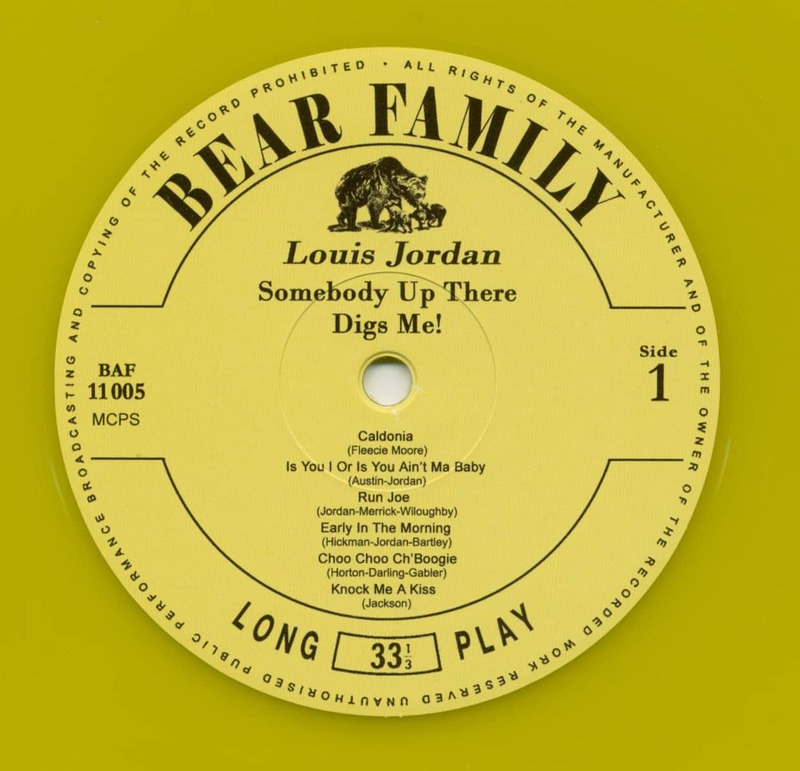 Press Archive - Louis Jordan - Somebody Up There Digs Me (10inch LP) - Nostalgia Magazine Louis Jordan & his Typany 5 Somebody up there digs me (Bear Family) e.... Ea22 Pá 40-talet var Louis Jordan (1908-75) en av de stórsta rhythm'n'blues-artis-terna. Nár rocken slog igenom hyllade Elvis Presley, Little Richard och mánga andra honoro som den direkta lánken mellan r'n'b och rock'n'roll. Vilket gav Jordan ett uppsving.